When the Royal Canadian Navy’s Arctic and Offshore Patrol Ships (AOPS) set sail they will have components developed by some of the world’s most well-known technology and defence giants, and some Canadian small businesses too. With the increasing number of complex systems aboard naval ships, electromagnetic interference is a continuous challenge. 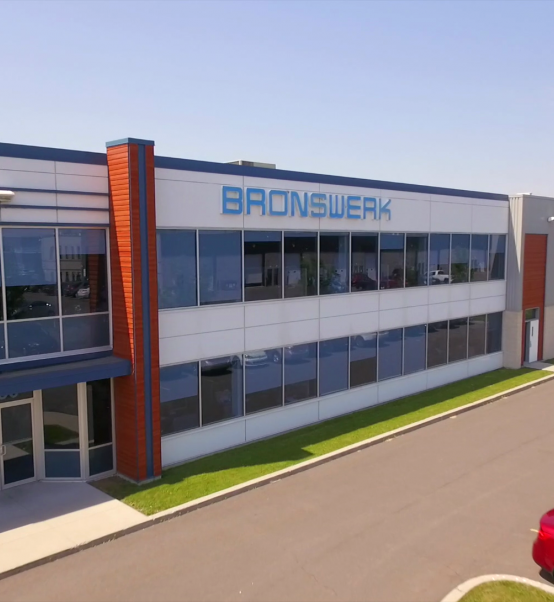 To ensure shipboard electromagnetics function properly, a Montreal-based technology firm of just six employees is leading the way. InField Scientific Inc. may be small in size, but its impact on the successful operation of AOPS will be significant. InField is a sub-contractor to Lockheed Martin Canada, who was selected by Irving Shipbuilding Inc. to deliver an adapted version of their Combat Management System 330 for surveillance on AOPS. InField is providing Electromagnetic Environment Effects (E3) analysis, modeling, simulation, troubleshooting, and testing, which are essential for the safety of the sailors onboard. The goal of InField is to mitigate Electromagnetic Interference (EMI), which is a term used for the electrical signals that interfere with the normal operation of electronic equipment. All electric and electronic equipment generate signals that can potentially interfere with the normal function of another nearby piece of equipment and degrade performance, introduce errors or operational faults, and cause total component failure. Therefore, the correct placement and testing of equipment aboard a naval vessel, is vital to the successful daily operation of the ship and optimization of the performance of the on-board equipment. 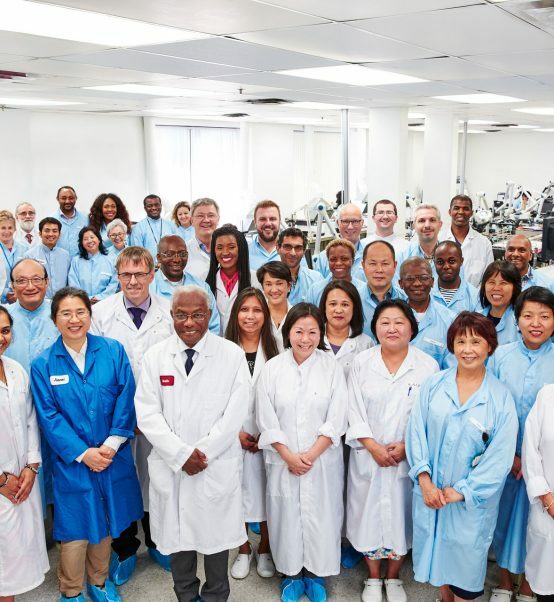 Founded in 1994 by Dr. Amy Pinchuk, InField is 100 per cent Canadian-owned and has gained global recognition in its highly specialized field. A big part of its strength is its small team of knowledgeable, dedicated professionals who collaborate to provide direct personal service to their clients. InField works directly with navy customers, prime contractors, system integrators and design agents to optimize designs, predict electromagnetic environments, assess and mitigate risks, develop procedures, and resolve electromagnetic interference issues. “Simply put, without these important series of tests and measures, AOPS or any other naval vessel cannot safely and effectively fulfil its missions,” asserts Dr. Pinchuk. The relationship with Lockheed Martin Canada is a testament to the quality of InField’s work. The partnership began in 1996 with the CFAV Quest Mid-Life refit, and was followed by the Halifax-class Modernization project at the Halifax Shipyard to extend the operational life of the Royal Canadian Navy’s 12 Halifax-class frigates. Not only has this partnership resulted in work on AOPS valued at $1.1 million so far, it has also opened lucrative export opportunities with navies throughout the world. InField’s involvement on AOPS is a strong example of the National Shipbuilding Strategy’s success in engaging Canadian businesses of all sizes and from coast-to-coast-to-coast. The partnership between Infield and Lockheed Martin falls under Canada’s important Industrial and Regional Benefits (IRB) program. The IRB program ensures that 100% of the value of a significant defence contract is spent in Canada. It has allowed InField to grow, raise its national profile, and establish itself as a global leader. 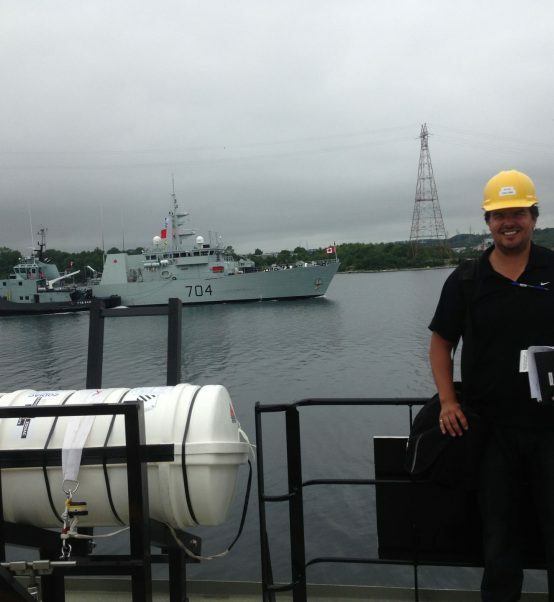 “AOPS has not only enabled us to refine our technological expertise in electromagnetics, it has also allowed us to increase our level of experience working on highly complex naval projects and enhance our business partnerships with companies such as Lockheed Martin Canada and Irving Shipbuilding Inc,” says Dr. Pinchuk. The Halifax Shipyard’s work building the Royal Canadian Navy’s future fleet, as part of National Shipbuilding Strategy, is benefiting Canadians from coast to coast to coast. As of September 2017, Halifax Shipyard has more than $1.9 billion in spending commitments as part of the National Shipbuilding Strategy, including over $265 million in Quebec.